All Saints eNews email list is maintained separately from the parish database to preserve parishioner communications preferences. eNews Update – Click on “Update Profile” at the bottom of your eNews email. A unique link to update your email will be sent to you from that system. Contact Beth McTighe at web@allsaintsdunwoody.org if you have questions. 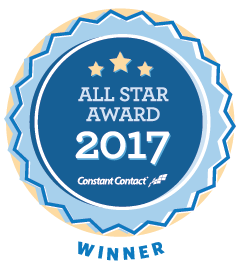 eNews has received an All Star award for 2016 and 2017 from Constant Contact.